By Peter Anderson 3 Comments - The content of this website often contains affiliate links and I may be compensated if you buy through those links (at no cost to you!). Learn more about how we make money. Last edited October 23, 2018 . I‘ve never been a big user of coupons as I either haven't had the time to figure it all out, or I just didn't care to bother with it(mostly the latter). I really didn't think I would be saving enough to make it worth my time. Since then I have had a slight change of heart in that I've come to realize that as long as you're using the coupons on things you might have bought anyway, it really doesn't have to take much time or effort to save 20% or more off of your bill at the grocery store, wholesale club or elsewhere. That can add up to hundreds of dollars every year! So how can you ensure that you're not wasting your time when you start using coupons? Here's a discussion we had about using coupons and maximizing your savings on this week's Money Mastermind Show. Is Using Coupons Worth Your Time? Coupons are everywhere you look these days. You get them for the grocery store, for oil changes at your local service station or for discounts at your local restaurant. According to Inmar, a coupons technology company, coupons distributed by consumer packaged goods companies grew 3.6% in 2013 to over 329 billion coupons. Of those, 2.9 billion coupons were redeemed in 2013. According to Coupons.com: The average grocery shopper can save over $900 per year by using coupons, amounting to about 15% in savings. Food items represented about 40% of all coupons distributed. The average face value of coupons distributed was $1.56. The average face value of redeemed coupons was $1.27. The most common method of distributing coupons by far remained free-standing inserts, brochures or ads containing coupons inserted into newspapers and magazines. They accounted for 87.3% of coupons offered and 41% of coupons redeemed. 7.5% of coupons or discounts were digital coupons or coupons printed out from the web. 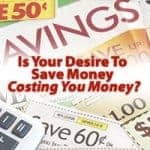 I think most of us have an idea in our heads about couponing that says you have to be like someone on the TLC show Extreme Couponing in order to get any real savings. The fact is, you don't have to go to those types of extremes, or leave your ethics by the wayside in order to save real money. An hour of smart couponing is estimated to yield about $100 in savings. What other part time job will pay you $100/hr? In my own limited test a while ago where I tracked exactly how much I was spending, and how much I was saving by using coupons. I tracked my spending across 4 different grocery shopping trips where I did some limited couponing. I got the coupons for my local grocery store out of the newspaper, as well as signing up for the grocery store's rewards program where they send out a coupon book every couple of weeks. I used the coupons I got from those two sources to help determine my shopping list, and to maximize my savings without doing any extra work finding matching coupons, keeping a price book or any of the other things that people suggest you do. I just used the coupons from that one grocery store. What were my results? I was able to save my family over $200! We saved 23% off the total bill on those 4 shopping trips, and I probably only spent a couple of hours total finding coupons and writing up my shopping list. Imagine how much you could save if you spent more time on it! So yes, I think using coupons is definitely worth your time, don't underestimate how much you could save. The key is to not get carried away and turn it into a full time job – or to buy things you don't need! If you do, you can end up with a house cluttered with coupon bought items that you may have saved on, but you don't necessarily need. If you really want to maximize the amount you can save, couponing really should only be one part of a multi-pronged saving strategy. Carrie Rocha of Pocket Your Dollars on the video shown up above talked about how really there are other things you should be doing first before considering the coupons because they can save you just as much or even more than coupons. Know what things you buy regularly, and know what they cost at different stores: You should know what items are staples of your family's food consumption, and then figure out what they cost at your local stores. Figure out which items are more affordable at which store. For example, if you know you can find produce and meat the cheapest at your local Aldi grocery store, shop for those items there. Cereal cheapest at your Costco? Get it there! Know when the things you buy are on sale: Figure out when certain items go on sale, and buy them when they're on sale. For example, in Minnesota ketchup, mustard and other condiments tend to go on sale in the summer. Watch for the sales and buy multiple of the item while it's on sale. 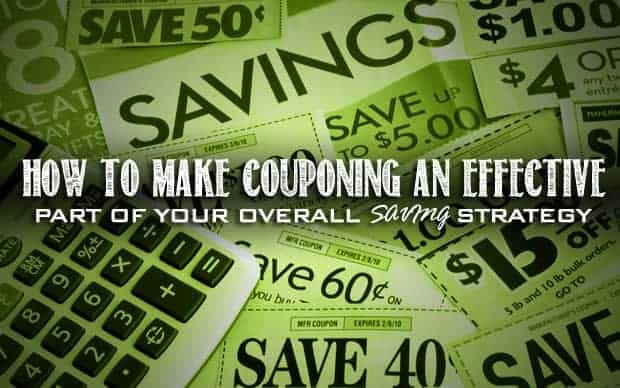 Then do your best to multiply savings by also using coupons on top of the sale. Figure out what coupons are available for the things you're buying: Finally, after figuring out the prices of the items you buy and knowing when the items go on sale, track down coupons for the items you buy. Find manufacturer and store coupons, along with online rebates and coupon saving apps. Knowing what you buy, what those things cost (and where they're the cheapest), and then knowing when the items go on sale are all just as important, or even more important, than using coupons. Use all those things as parts of your overall strategy and you'll be coming out far ahead of the average family. There are plenty of easy things you can do to make sure using coupons is worth your time. Here are a few. Take advantage of coupons you're already getting: When we started couponing we were already getting a wide variety of coupons in our regular mail through Red Plum mailings and other things. Don't throw them away, use them! Sign up for store rewards programs and coupon book mailing lists: Most grocery stores, as well as other stores, have rewards programs these days. 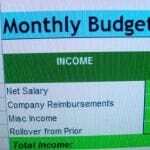 Many of them will also send out regular coupon books or mailings that can help you to save. Sign up for them! Check for coupons in-store: Often you can find coupons for items you're buying right in the store. Look for the blinking coupon dispensers! Sign up for free local papers: We get our local city paper that also includes coupon inserts for our local grocery. Get the Sunday paper: Get a copy (or even better, several copies) of the Sunday paper if you don't already because some of the best coupon inserts are found there. Don't forget to use a coupon code!. If you have family that gets the paper, ask them to save the inserts for you and double up on the coupons that allow it. Some stores will agree to give you the extra Sunday papers on Monday or Tuesday if they have any left. Contact manufacturers of your favorite products: Check out the websites of your favorite product manufacturers and check for any rebates or coupons they may have available. Sometimes they'll send you free samples and coupons as well. Keep your coupons organized: Most people say to organize your coupons either by expiration date, or by category. If you do by expiration date you can just file the entire insert in a folder, and then use a site with a coupon database to figure out which coupons you can use on the items you need that shopping trip. Plan your shopping list and meal plans around what's on sale or discounted: When making your grocery shopping trip, do your best to plan your week's menu around what's on sale, or what you can find at a discount. It may not always be exactly what you want, but you'll get to try a lot of new things! You can often use store and manufacturer coupon at the same time: You can often double up on the coupons on certain items. If you get it on sale to boot, it's even better! Don't get items just because you can, only buy what you need: If you take couponing to the extreme you can end up with a house full of shampoo, toilet paper and other items that you don't need, or you can spend more than you intended just because things were on sale or free. Don't get to the point where your house becomes a cluttered grocery warehouse. There are a lot of good websites that you can use to learn more about couponing, track what coupons are available, and track what you've saved. Here are a few. Ibotta: Find cash back and offers on products you're buying anyway. Get cash back. I've earned $120+ since signing up for Ibotta. Read my Ibotta review here. 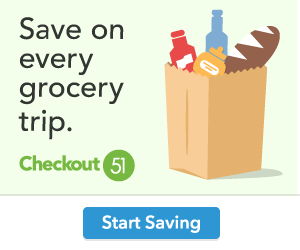 Checkout 51: Get discounts on products you don't always see coupons for. Free to use. 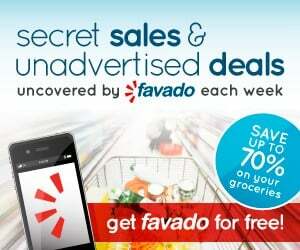 Favado App: Find the best deals on your groceries at your favorite stores, including coupon matches, coupons for items already on sale and more. Free to use. Don't buy things you don't really need: It's not really a deal if you don't need it. Have a coupon to get cereal for free, but it's a kind you don't like? Don't use the coupon! Beware of coupons where you have to spend a certain amount: Sometimes a coupon requires that you spend a certain amount. Don't overspend just to get over the limit – only use the coupon if it makes sense. Sales that really aren't: Beware of items on the shelf that appear to be on sale, but aren't. For example, a $1 item might have a big sticker saying “2 for $2!” If you didn't check the per unit price, you may not have realized it was already $1 per item. Be careful of buying too many of items that spoil: You may find a good deal on strawberries, but if they end up spoiling before you can eat them all, it's not really a deal! Be sure you know coupon rules: When using coupons at a certain store, make sure you know store coupon policies, or else you may be stuck with a bunch of coupons that don't work there. 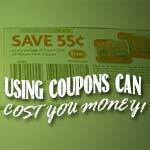 Don't lose sight of the reason for using coupons: The reason you use coupons is in order to save money. Don't allow the thrill of the hunt to get the better of you and urge you towards spending more than you would have, even with the coupons. Have your own tips for shopping with coupons, and using it as part of your overall shopping and saving strategy? Tell us your tips, tricks and suggestions for couponing resources in the comments. Last Edited: 23rd October 2018 The content of biblemoneymatters.com is for general information purposes only and does not constitute professional advice. Visitors to biblemoneymatters.com should not act upon the content or information without first seeking appropriate professional advice. In accordance with the latest FTC guidelines, we declare that we have a financial relationship with every company mentioned on this site. Hunting for coupons is one of those things that had diminishing returns with respect to the effort put in (in my opinion). I can save X amount of money by spending an hour comparing prices and looking for coupons, but for each additional hour I would spend I only save incrementally more. So, I take the “low hanging fruit” coupons from the Sunday paper or any ads I can find, and call it good. Similar to you, I usually save 10-20% this way. My favorite way to save with coupons is stacking them. At Target you can use Cartwheel and a manufacturers coupon at the same time. I love those! The other day I triple stacked on a toilet paper deal. The toilet paper was on sale plus Target had a Cartwheel coupon and a separate Target text coupon and I also had a manufacturers coupon. Saved over $10 on a huge thing of toilet paper! Previous Post: 11 Ways Using Coupons Can Cost You Money!